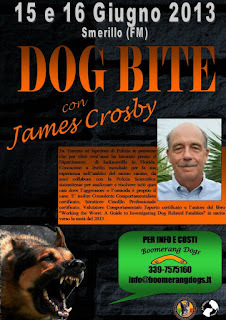 Join me in Smerillo, Fermo, Italy June 15th and 16th, 2013 for my two day seminar on dog bites, dog aggression. behavior, and fatal bite investigations. Buon Giorno Italy!